Skinny Deviled Eggs made with greek yogurt, lite mayonnaise, capers and paprika are the perfect lite appetizer you can enjoy during your Easter celebrations and more! 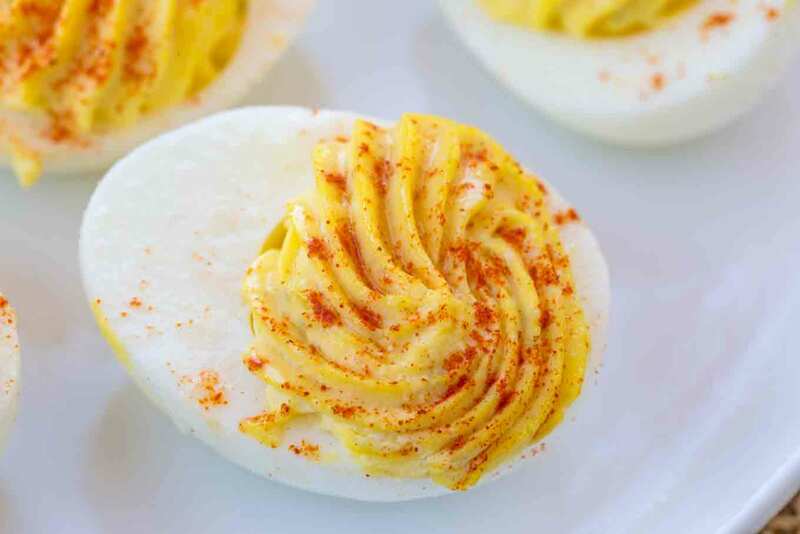 Deviled Eggs are getting a healthy makeover here with greek yogurt for an amazing diet appetizer. 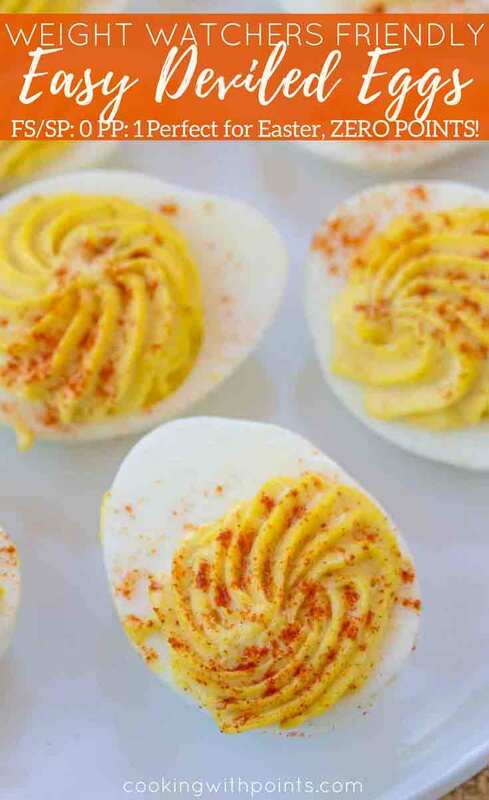 Eggs and mayonnaise dominate most deviled egg recipes. 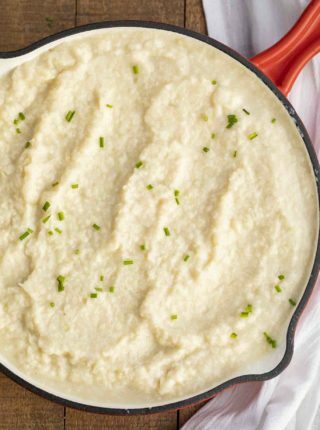 This recipe keeps all the egg yolks and adds the creamy texture with greek yogurt. 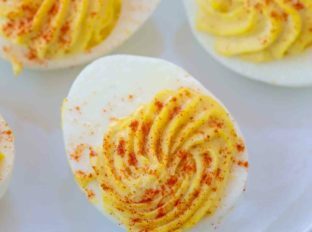 If you have a favorite deviled egg recipe you can lighten it up by swapping out the mayonnaise for greek yogurt cutting most of the points out of it. Everything Bagel Deviled Eggs: Greek yogurt, mayonnaise, kosher salt, capers and everything bagel seasoning instead of paprika. Bagel and Lox Deviled Eggs: Greek yogurt, mayonnaise, kosher salt, capers, smoked salmon and everything bagel seasoning instead of paprika. Buffalo Blue Cheese Deviled Eggs: Greek yogurt, mayonnaise, kosher salt, hot wing sauce and blue cheese crumbles instead of paprika. Green Eggs and Ham Deviled Eggs: Greek yogurt, mayonnaise, kosher salt, finely minced parsley and skillet crisped ham bits. Crab Deviled Eggs: Greek yogurt, mayonnaise, kosher salt, lump crabmeat and dijon mustard. Hate Capers? If you’d like to skip the capers you can also make deviled eggs with relish in equal quantities. Add the eggs to the pot with cold water. 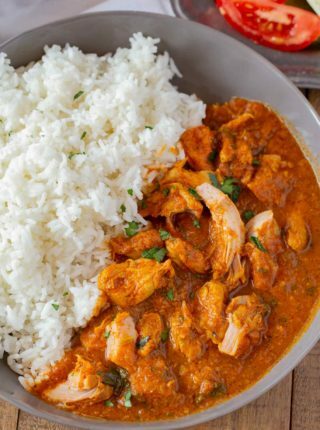 Bring to a boil then reduce the heat to a low simmer and cook for exactly ten minutes. Rinse eggs under cold water before peeling. You can prepare deviled eggs up to two days before serving. Keep the whites seperate from the filling and pipe the yolk mixture up to four hours before serving. 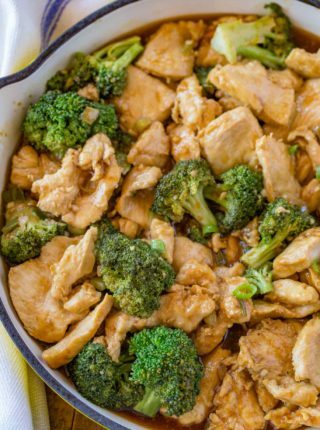 Sprinkle with paprika just before serving. Do not freeze deviled eggs as the texture of the egg whites will become rubbery and watery. How long can you keep deviled eggs at room temperature? Do not leave deviled eggs sitting at room temperature for more than two hours. Boil the eggs in water covered by about an inch brought to a boil before reducing to a low simmer for 10 minutes. Remove to a colander and rinse under cold water. Peel the eggs and slice them in half lengthwise. Scoop out the egg yolks and mix the yolks with the yogurt, mayonnaise, salt, green onions and capers. Using a piping bag, fill each egg white half with the egg mixture. Top the eggs with the paprika by sprinkling with your fingers. Love that these are zero points, and they look amazing!! 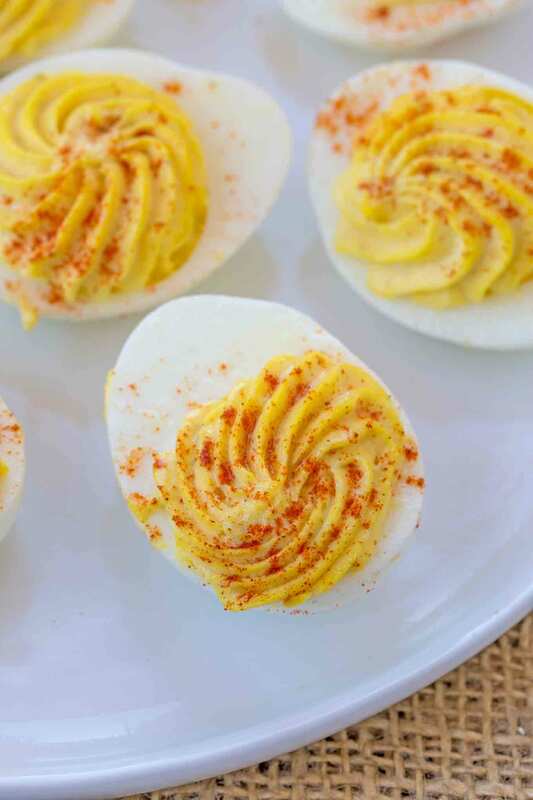 Deviled eggs are one of my favorites, and I love that you made a skinny version! I love deviled eggs! I have to try them! I need to try your version! This looks really amazing! 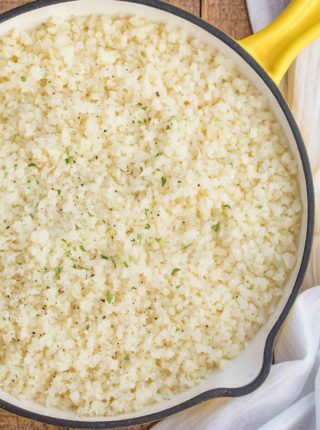 These look perfect for parties without killing your diet! YUM! Such a great way to enjoy eggs! I really love this idea!